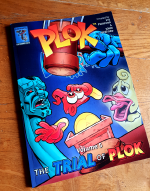 The fifth Plok comic strip edition collects episodes 102 to 126 of the webcomic and includes many exclusive extras. It is available in paperback. 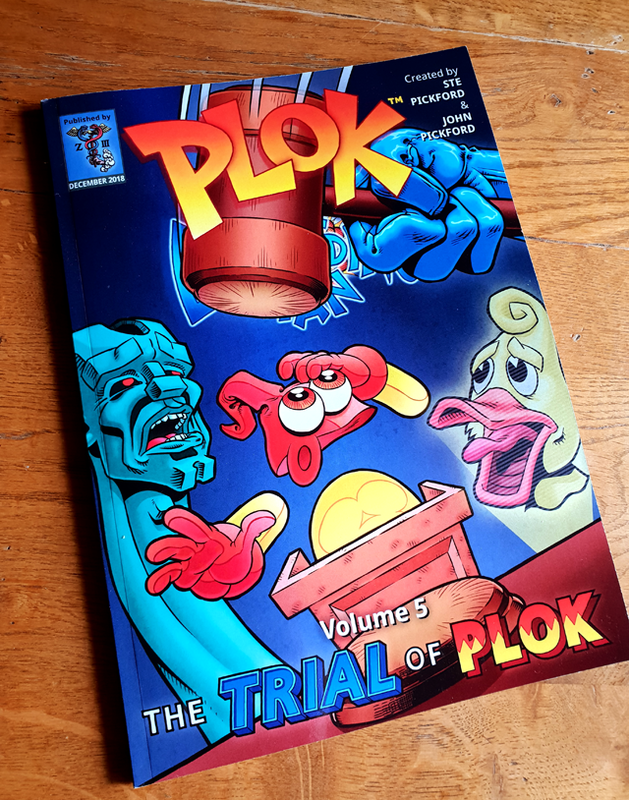 This 60 page volume collects together episodes 102 to 126 of the Plok comic strip in the expanded 6-panel-per-page format, along with seven beautifully illustrated and updated character biographies and a brand new cover drawn exclusively for this book. 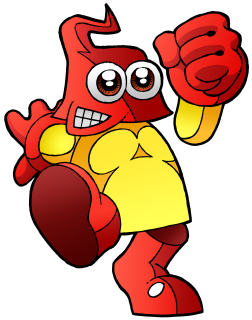 Also included is a 'story so far' recap of volumes 1-4, and a nine page 'sketchbook', containing notes and pencils from each of the 25 strips, giving a detailed insight into the background and creative process involved in the creation of the comic strip. 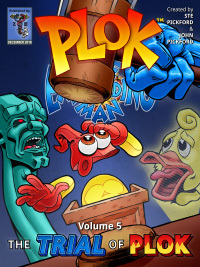 Expand your collection of Plok comics with Volume 5 today! The trade paperback version of the book is 7 x 10 inches, squarebound with a glossy cover. It is available for mail order from most Amazon stores around the world.